In a medium bowl, combine cream cheese and lemon curd and blend with a hand mixer until smooth. Place the mini fillo shells on a baking sheet and bake at 400 degrees for 8-10 minutes or until light golden brown and crisp. Let cool. 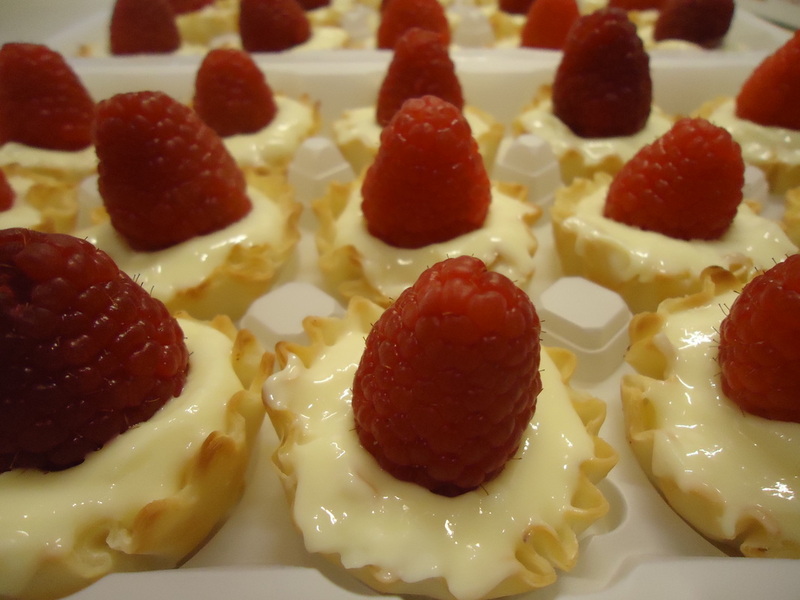 Spoon about 1 tablespoon of Lemon Cream into each phyllo cup and garnish each tartlet with a fresh raspberry.